From your complementary initial consultation, through the design and build process, to completion of the finishing touches that make your project completely perfect, experience the highest level of service and quality from Distinguished Pools. 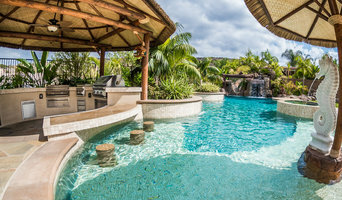 At Distinguished Pools, we craft your ideas for your dream pool into a reality, creating truly unique pieces of aquatecture. We specialize in marrying form and function: your pool will be both a work of art and a pleasure to use. Creating a Distinguished pool is a personal experience that ensures the final product is a unique reflection of your individual aesthetics while providing you an amazing in-the-water experience. The Del Rancho Pools construction department offers a wide range of services such as new construction, repairs, remodeling, and renovation. We offer our customers the total pool solution by creating exciting new pool designs customized for every backyard. We specialize in the finishing touches that make your pool a "Backyard Escape”. 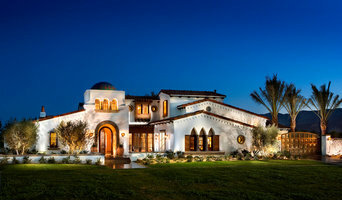 By using such options as colored plaster and pebble finishes, custom tile and stone coping, outdoor lighting, fountains, vanishing edges, falls, barbecues, landscaping, fencing, decks and patio covers, Del Rancho Pools can create a tropical paradise. A Roman fantasy, or a classic masterpiece perfect for pool parties and family fun. Best of all, we are specialists in alternate sanitizers like Salt systems, Ozone and Mineral purification, as well as the very latest in energy efficient pool and spa pumps, heaters and electronic control systems. There is no limitation to creativity with Del Rancho Pools. 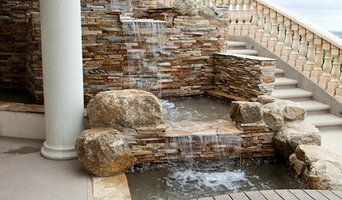 We can design, build and remodel any pool, spa or water feature that your imagination can create. 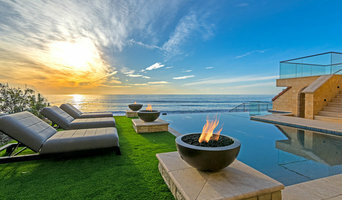 You won't find a better choice among San Diego pool builders! For your own backyard escape, please contact us today! Dreamscapes By M.G.R. based in Orange County, CA has more than 20 years of experience in landscape design, landscaping and swimming pool design and build. We know what it takes to design and build our clients the most innovative and beautiful outdoor living environments. Established in 1988. Designing and building beautiful custom pools and spas since 1995. Specializing in custom residential pool construction using only hand picked experts, the best equipment and materials to handcraft your pool, spa and/or waterfeature. We value the trust in us to produce the best product in a timely fashion at budgeted price. Call us today for a no obligation consultation to get started on your new backyard dream. For over two decades, Matrix Concrete Artisans has been devoted to building custom waterfalls and swimming pool creations through our innovative designs, exceptional service and an in-depth understanding of how to navigate the challenges of balancing proper construction and aesthetic design. When other companies in this industry are lowering quality standards to lower costs, we have defined ourselves by upholding our continual commitment to excellence. These principles have earned us the status as one of Orange County’s premiere contractors for residential and commercial rockscape projects. We are pleased that the success of our business has been primarily driven by the countless referrals from satisfied customers, builders and architects throughout the years. What exactly do Fallbrook pool builders do? If you are planning for a new pool in Fallbrook, CA, a swimming pool builder will analyze your outdoor space and your aesthetic wishes to determine an appropriate design for your yard, installing it once the plan is developed and approved. Once installed, some pool companies in Fallbrook, CA can handle the necessary cleanings, water testing, renovations and equipment replacement or repairs for your pool or spa. If not, many can also suggest Fallbrook, CA swimming pool contractors or maintenance services to help with upkeep or repairs down the road. Here are some related professionals and vendors to complement the work of swimming pool builders: Garden & Landscape Supplies, Landscape Architects & Landscape Designers, General Contractors, Landscape Contractors, Solar Energy Contractors. Before hiring a swimming pool construction company to create your new Fallbrook, CA pool, determine how you'll be using it. Will it be for fun or for lap exercise? Will the primary users be children, adults or a mix of the two? Knowing the use can help you find Fallbrook pool builders who shares your aesthetic. Once you find swimming pool builders in Fallbrook, CA who share your style, research is critical. Review customer references and comments, collect at least three to four estimates to compare, meet with potential Fallbrook pool designers and builders in person and ensure that they are California certified service professionals and licensed with the registrar of contractors before making any final decisions. In addition, get a sense whether they plan to complete the pool installation and be done with it, or whether they seem interested in building a long-term relationship with you. Be wary of the former: it's likely a reflection on the level of quality of the pool construction they do. Find a Fallbrook pool contractor or designer on Houzz. Narrow your search in the Professionals section of the website to pool builders in Fallbrook, CA. You can also look through Fallbrook, CA photos by style to find a pool or spa you like, then contact the local pool company who designed it.